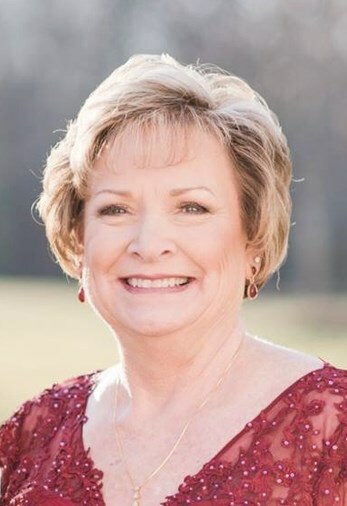 Jenny Lynn Langley, 65, of 133 Badin Lake Circle, New London, died Saturday, April 13, 2019 at Randolph Hospice House in Asheboro. Funeral Services, 3:00 PM, Tuesday, at Pleasant Grove Christian Church, Bennett. Jenny was a native of Chatham County, longtime resident of Ramseur, and more recently resided at Badin Lake. She previously attended Pleasant Grove Christian Church in Bennett, has currently been attending Badin Shores Chapel, and is a member of Shady Grove Baptist Church in Staley. She was a 1971 graduate of Eastern Randolph High School, and a dedicated employee of Prestige Fabricators, where she retired with 31 years. Jenny was preceded in death by her father, Rufus Brown. Survivors: husband of forty six years, Doug Langley, of the home, son, Jeremy Langley and wife Melody, of Coleridge, daughter, Brooke Scott and husband Jordan, of East Bend, mother, Pearl Brown, of Bennett, sisters, Carol Sheppard and husband J.A., of Seagrove, Teresa Seawell and husband Robbie, of Badin Lake, Sheila Oakes and husband Barry, of Pinehurst, brother, Roger Brown and wife Susan, of Liberty, one precious to her heart granddaughter, Parker Elise Scott, of East Bend, her fur babies, Beesly, Lucy, Romeo, and Oakley, numerous nieces and nephews, and many beloved friends. Visitation, 6:00 PM to 8:00 PM, Monday, Loflin Funeral Home & Cremation Service, Ramseur, and other times at the residence of Jeremy and Melody, in Coleridge. Memorials may be made to Hospice of Randolph County, PO Box 9, Asheboro, NC 27204, or to the Badin Shores Chapel, 4 Club House Dr., New London, NC 28127.